Why do nonmuslims treat muslims so badly (b)? Canada’s parliament passed Motion 103 by a vote of 201–91 on March 23, 2017. The vote is nonbinding and some might allege that Tarek Fatah [an important leader of the global minority and liberal muslim movement] is over-concerned with it. This bill was pushed by the nonmuslim post modernist global intelligentsia in collaboration with the Arabist Lobby and soft Islamists as a way to support soft Islamists against moderate and minority muslims. Many of the Canadians duped into supporting Motion 103 are well intentioned useful idiots. when the muslims [Umayyad dynasty] tried to kill all remaining blood descendants of Mohammed’s pbuh family, the only country that protected the prophet’s pbuh family was Hindustan. For which Hindustan was attacked. the holy Koran is not currently sequenced in the order Allah and Gabriel revealed it to the holy prophet. Usman [and Fatimah] assembled the holy Koran in its current order twenty years after the holy prophet pbuh passed away. Usman burnt three hundred copies of the holy Koran that didn’t exactly match his preferred written Koran. muslims murdered the first four rightly guided muslim Caliphs. Hindus laugh all the time because Hindus have 50 million Gods so Hindus can pick a God and make fun of Him (the God they picked) because the other guy doesn’t even know that is a God. [Hindus] have 50,000 books. No one can read them all. So no one knows how to get offended. Mansur Al Hallaj was beheaded for speaking the truth in Iraq 922 AD. There is a fatwa against the same microphone which is used to broadcast the morning prayer across the world. There was no “Mullah’s Islam” during the life of the prophet pbuh. The middle east was the only part of the world to not side against the Nazis in WWII. We will eliminate Jihad in India before we do it anywhere else. Despite a bounty on Tarek Fatah’s head with an Imam saying I will slit your throat was conquered by a million Indian muslims protecting Tarek Fatah. A comment thread below discussed the issues relating to the historicity of Jesus, Muhammad, and Hindu figures such as Ram and Krishna. The assertion is that while Jesus and Muhammad are historical figures, Ram and Krishna are mythological. To some extent, this is a religiously fraught topic. People from Abrahamic backgrounds are wont to dismiss Dharmic tradition as pagan, heathen, and yes, mythological. In many Abrahamic traditions pagan gods, a class into which Hindu deities are often bracketed, are emanations of true supernatural powers, but demonic ones. 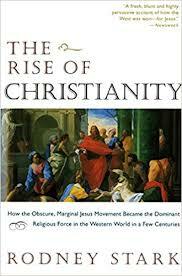 In the West, this tendency within Christianity has been pushed to the background. But it still exists in more conservative denominations and traditions. Therefore, those who adhere to false and marginal religions have “myths.” Those who adhere to true and cultural dominant religions have “stories” or “narratives.” That is the cultural context which we must admit. Even in places where non-Abrahamic religions or traditions are dominant, the past few centuries of European cultural and imperial hegemony have imposed certain interpretive frameworks which are Abrahamic. And yet that being said, as someone who believes all religious supernatural claims come from the realm of our minds, as opposed to reality, there is a qualitative difference between Jesus, Muhammad, and Ram and Krishna. If Ram and Krishna did exist, they are individuals who lived in “prehistory.” That is, from a period not accessible to us even at some remove through non-religious text. In this way, they are like Abraham or Zoroaster. In contrast, the Buddha, Confucius, Mahavira, and various figures in Hebrew legend and myth such as David, Solomon, and Jeremiah are liminal figures. The world in which they lived was stepping out of prehistory and archaeology, and into the written word, but it was not a fully-fleshed world. Finally, you have the prophets and religious leaders who are “of history.” Jesus, along with Muhammed and Mani are generally agreed to be figures of history. But we don’t have contemporaneous records of their lives outside of religious traditions, and even in that case only from texts dated to later periods from when they flourished. This means that the context and the details of who these figures were may not align with what current religious tradition suggests and argues for their significance (though since Manichaeanism is dead as a living religion that is a separate case). A common revisionist case for the nature of the “historical Jesus,” is that he was a Jewish reformer in the tradition of Rabbi Hillel. The emergence of a religion of universal salvation, as opposed to a different form of Judaism, was a process which then developed in the generations after the death of the historical Jesus, the Rabbi Yeshua ben Yosef. Roman Christianity as a sect cannot be understood without appreciating its birth in an Empire where syncretistic “mystery cults” were revolutionizing popular religious life (e.g., Mithraism). The elite Roman Christianity of the 3th to 6th centuries cannot be understood without the cultural priors brought to the religion by converts from aristocratic or educated backgrounds steeped in Greek philosophy (e.g., Origen, Athanasius, and in the West Augustine). Much the same can be said of Islam. A certain legend exists of Muhammad the warlord within Islamic traditions. But outside of these records, in the contemporaneous ones of the Byzantines, he is not noted (little remains of the records of the Persians and Ethiopians). This would not be surprising, because outside of modern Yemen, and the liminal zones of the Levant and the fringe of the desert on the western shore of the Euphrates, Arabia was of little consequence. So long as the spice flowed (e.g., frankincense), the goings on of the Arabs were not of note unless they impinged upon the civilized world. And yet that did happen indeed, with the defeat of the Byzantines at Yarmouk and the Persians at al-Qādisiyyah. But as highlighted by revisionist scholars, the Byzantines took many decades to perceive in the Arab armies as anything but heretics and schismatics. 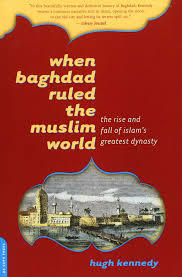 This is also echoed in some ways in particular Islamic traditions which emphasize the relative impiety of the Umayyad Caliphate, denigrated in some sources as the “Arab Kingdom” due to its ethnocentric nature. 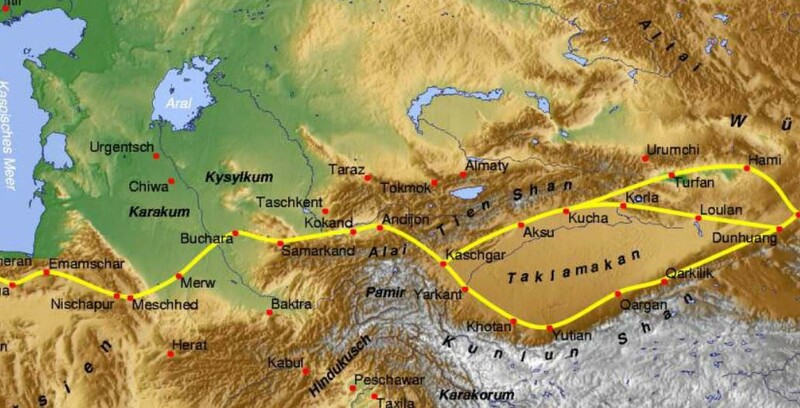 Compared to the later Abbasid period we don’t know much about the Umayyads. Part of the reason is that the winners write the histories, and the Abbasids won. 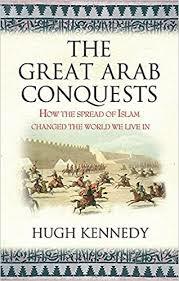 In Hugh Kennedy’s The Great Arab Conquests: How the Spread of Islam Changed the World We Live In, he argues that Muawiyah was clearly a far more influential and important figure in Islamic history than one might think from the attention he receives from classical scholars and thinkers. But that’s because the Shia detest him, while the Abbasids and the Sunni Islam which evolved under their aegis minimized him. 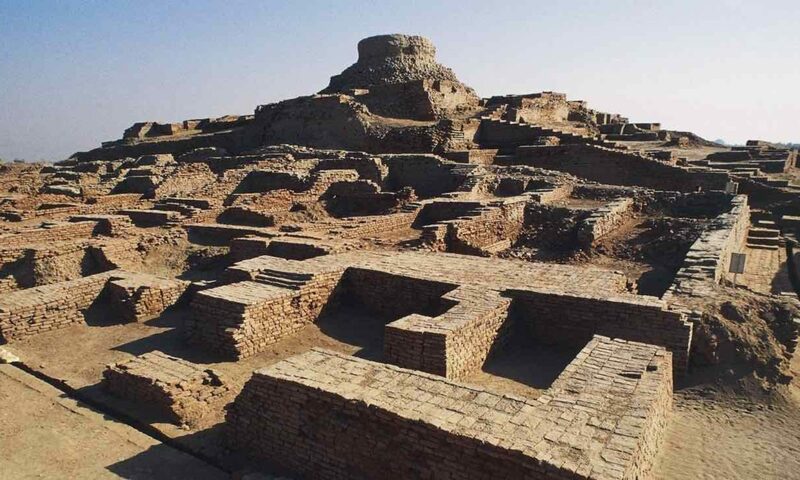 But there is a great deal of circumstantial evidence that compared to the Abbasids the Umayyads were very much a skeletal barracks-state where Arabs imposed an ethnic dominion, rather than a religious one. Even in the Islamic histories, there are attestations of Christian Arab tribes who were exempt from the jizya tax, while mawlā individuals of Persian origin were subject to the same indignities of non-Muslim Persians. In fact, archaeological evidence shows that Umayyads in Syria patronized the creation of mosaics which continued the Late Antique Hellenic visual tradition, depicting both humans and animals. And, Greek was the administrative language of the Umayyads for the first few generations. The last of the Church Fathers, John of Damascus, was a Greek-speaker of Syrian background who served as a civil official under the Umayyads in the years around 700 A.D. 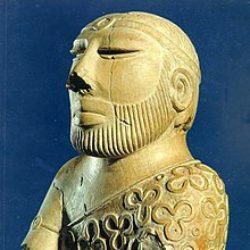 In contrast, the elite Barmakid family which was so prominent under the early Abbasids were of Buddhist background, but had to convert to Islam to become part of administrative apparatus which was becoming distinctively Muslim by this period. 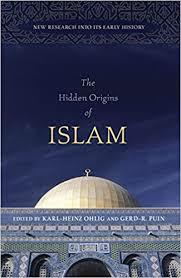 All this is to set up the contention that Islam as we understand it, just like Christianity as we understand it, may actually not be the product of the first few decades of its flourishing as commonly understood, but of a later period when certain orthodoxies were understood and internalized, and grand narratives were later retroactively imposed. 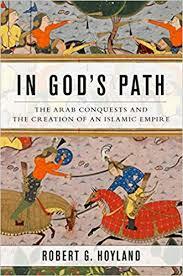 This aligns with the arguments in Lost Enlightenment and Warriors of the Cloisters that Islam, as we understand it today, was fundamentally shaped by the shift to the east initiated by the early Abbasids. Which brings me to Mormonism, or The Church of Jesus Christ of Latter-day Saints. Unlike Jesus or Muhammad, there is no great debate about the details about the life of the Joseph Smith, the prophet of the religion that became Mormonism. Smith was born in Greater New England, and the Mormon church emerged as a sect in the Restorationist Protestant tradition. Its cultural context was among the Yankees of the American North. Smith’s family had been involved in radical Christianity, in particular, the Universalist Church. Over the decades of Smith’s life as leader of the church, and later after his death, his sect became a new religion, fundamentally different from the Protestant milieu in which it emerged. Mormon religion early on took a jaundiced view of Nicene Christianity, holding to the Restorationist perspective that all other Christian churches were fallen and corrupt. But Mormonism deviated by innovating and transforming its theology, away from the dominant orthodoxy as articulated by early thinkers such as Bishop Irenaeus. Due to secret revelations late in Joseph Smith’s life, Mormon leaders developed a Christology which was fundamentally different from that of other Christian traditions. Rejecting Trinitarianism and much of Greek metaphysics, Mormons believe that Jesus Christ was God the Heavenly Father’s bodily son, with Lucifer being his rebellious brother. Additionally, God the Heavenly Father has a Heavenly Mother, who is his wife. Father and Mother live on a planet in this universe in physical bodies. There is much more which is exotic and strange to non-Mormons, whether Christian or not, in their theology. But, because Mormonism has existed in the light of history non-Mormons can look upon its claims with a much more critical eye. It is obvious, to many, that early Mormonism was just another Restorationist Christian church. Why did Mormonism deviate so far from mainstream American Christianity in its beliefs and practices? It is important to remember that Mormonism is simply the westernmost and most successful offshoot of Joseph Smith’s religion. The Community of Christ, previously known as the Reorganized Church of Jesus Christ of Latter Day Saints, remained located in Missouri when most of the community migrated west. 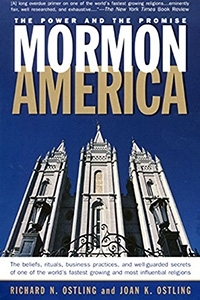 Under the leadership of the descendants of Joseph Smith, the midwestern Mormons eventually merged back into the mainstream of liberal Protestant Christianity. Why? I suspect one of the reasons that this occurred is simply the fact that the western Mormons became a very distinct ethno-cultural community, geographically separated from other Americans. In contrast, the Midwestern Mormons remained just another church among churches, albeit with a peculiar origin. And, like many “independent churches” in Africa founded in the 20th century, as it matured and stabilized, it slowly moves back into the mainstream of the dominant tendency of American Protestantism (with a few doctrinal quirks). Since I began talking about Hinduism and the Abrahamic religions, to Hinduism we come back. A lot of the discussion online (and on this weblog) is difficult to follow because there is Hinduism, and then there is Hinduism. Hinduism as the religion of the people of India is an old concept, and a generic one. But elite philosophical schools of Hinduism, such as Advaita Vedanta, crystallized much later, even down into the period when Muslims began to first make incursions into India. 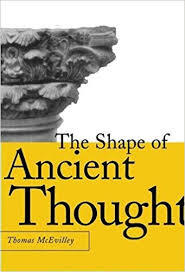 I have alluded to here to the book The Shape of Ancient Thought: Comparative Studies in Greek and Indian Philosophies. 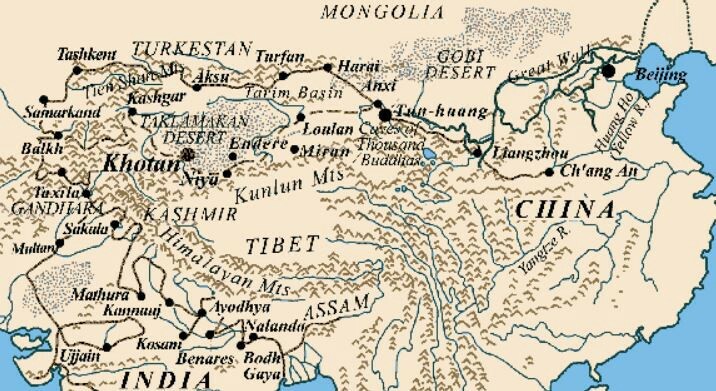 The focus on Greeks and Indians is due to the fact that aside from the Chinese these were the two ancient cultures which developed a fully elaborated philosophy that we in the modern world would understand, from metaphysics to ethics (Jewish and Persian philosophy in a distinctive sense tended toward religion). Though they exhibited different biases and emphases, but it is clear that the Greeks saw in Indian “gymnosophists” kindred souls. The great Neoplatonist, Plotinus, reputedly inquired into the nature of Indian philosophy through meetings with scholars in Persia according to his classical biographers. 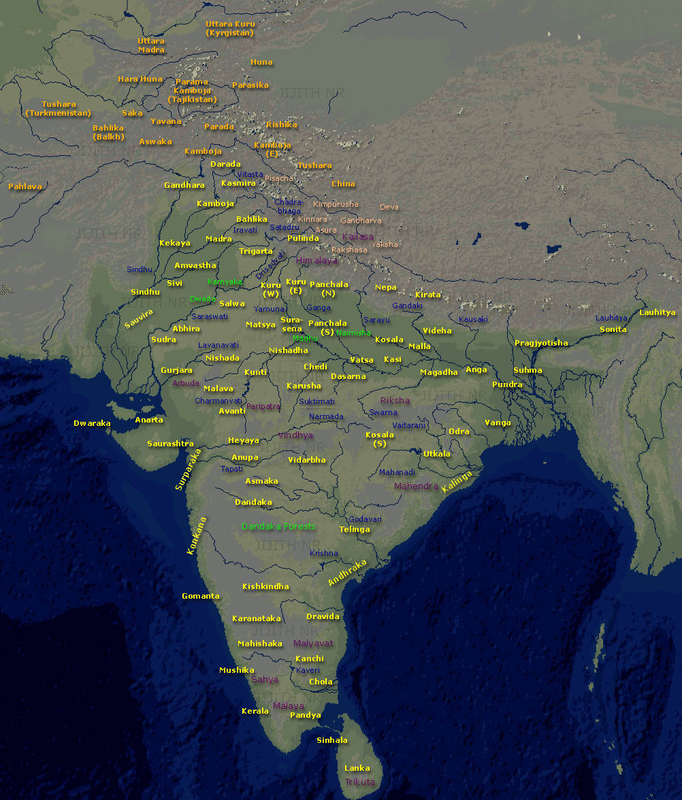 The correspondence between Advaita Vedanta and Neoplatonism is rather clear, and probably due to a common set of monistic ideas which were in currency across the trading network between Alexandria and southern India, as well as through Persia, which spanned the edge of Roman Syria and into modern Pakistan, as well as ruling substantial Buddhist domains in Turan. One of the generalizations often made about the development of Hinduism in the subcontinent over the past 1,000 years is that it is as if Islam did not even exist. That is, the indigenous religious traditions persisted and maintained themselves at such a remove that their evolutionary development was unperturbed by the exogenous cultural intrusion. 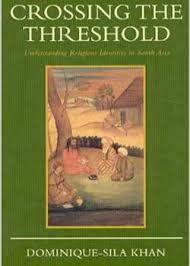 Crossing the Threshold: Understanding Religious Identities in South Asia, presents the argument that both Muslims and Hindus exhibited much more religious fluidity until the past few centuries. This is often argued in the context of peasant folk religion, where this is obviously true. But the author makes the case that groups like Hussaini Brahmins were much more numerous in earlier periods, especially before the emergence of a later Mughal orthodoxy under the aegis of Naqshbandi Sufis. Not only did this mean the forced conversion of many Ismailis to Sunni Islam, but also the shift of some liminal groups away from Islam and toward adherence to a Sanskritized Hindu identity. The reason for this is obvious: heretical or ghulat sects of Islam are viewed far more negatively by Sunni enforces of orthodoxy than Hindus, who were outside of the pale of Islamic writ in any case. This is analogous to the early decades of the Christian Roman Empire, when persecutions were directed primarily to heretical sects, rather than the pagan majority, which was neglected. As must be clear by this point: Christians, Muslims, and though I have not addressed it, Jews, seem to have “cleaned” up their history. ** In fact, one might even say they “retconned” their history so that present beliefs naturally lead from ancient beliefs, even though that is hard to see logically and empirically quite often where the ancient leads to the modern (e.g., reading the Synoptic Gospels, and then the Athanasian Creed, is confusing without any historical context). I believe that many modernist Hindus, living in a world of explicit and demarcated confessions, and formal beliefs and portable and digestible holy texts, have attempted to do something similar. First, Hinduism becomes a religion of deep antiquity, despite its historical development over the past 2,000 years. Just as modern Muslims, Jews, and Christians look to the legendary Abraham, who lived 4,000 years ago, outside of the gaze of history, so modern Hindus look to the mythos of Ram, Krishna, and the Vedas, and built their house upon those rocks. This, despite the detachment of multitudinous folk Hinduisms from this ancient foundation, as well as the relatively tenuous connections of highly intellectualized philosophical Hinduism to the concrete and corporeal character of the early Vedas (Vedas venerated by vegetarian “Hindu fundamentalists” which clearly depict vigorous beef-eating warriors!). Second, the localized diversity of Hinduism becomes flattened in an atomized world characterized by anomie. Just as ‘traditional’ Javanese Hinduism tends to flourish in the village, but not in the urban centers, so ‘traditional’ Hinduism of locality is not portable or plausible in the great fleshpots of modern India. Urban Hindus need something that gives them religious succor and is also in keeping with their understanding of their traditional origins. Something that is not a rupture from the past, but an extension and evolution. A “perfection” as Christians would say of Judaism and Salafi Muslims of traditional Islam. Just as urban Indonesian Muslims who shift from abangan Islam to a more “orthodox” world-normative santri Islam view themselves as reclaiming a more pure and primal Islam, so it strikes me that modern Indians who adhere to a “Vedic religion,” stripped of locality and universalized and extended, create a mythos and narrative of reclamation, not innovation. Over the 21st century, India will urbanize, and the villages will fade away in memory and with time. 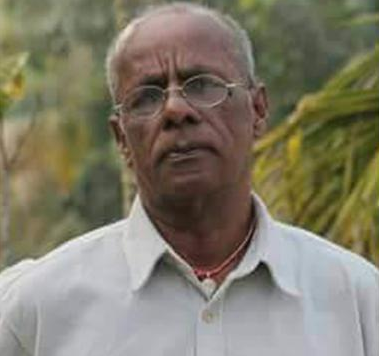 It is plausible that as this occurs modern urban Hinduism will produce a relatively standardized, and yes, deracinated, a spirituality which is more amenable to a people who move from one end of the country to another, as their professions take them on peregrinations over their lifetime. To some extent the Abrahamic religions, and Buddhism, have already been through this. Torn away from a specific soil that nurtures them in a distinct local culture, these religious traditions have developed portable variants, which eventually become normative, uniting disparate peoples with distinct folkways. As India becomes its own world, and different cultures within it synthesize and merge, a need will develop for a more portable and flexible Hinduism. Both secular Hinduism and Hindu fundamentalism are faces of this transition, and both are likely the seeds of sectarian traditions which will wax and elaborate over the coming decades. * Reading the Gospels, this is most clear in the writings of “John.” A grand and conceited figure, in contrast with the modest Jewish prophet of Mark. ** Orthodox Judaism as we understand really congealed in the 6th century with the Babylonian Talmud. Therefore, I argue it is a sister religion to Christianity, with both deriving from sects of Classical Judaism. Some scholars have in fact argued that Christianity is an extreme derivative of a form of Hellenistic Judaism! Some thoughts on how I became respectful of religion.